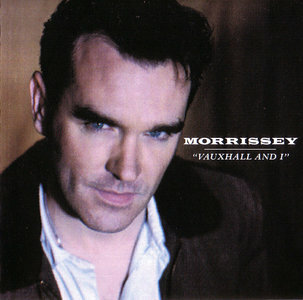 While it isn't a gutsy rock & roll record like Your Arsenal, Vauxhall and I is equally impressive. Filled with carefully constructed guitar pop gems, the album contains some of Morrissey's best material since the Smiths. Out of all of his solo albums, Vauxhall and I sounds the most like his former band, yet the textured, ringing guitar on this record is an extension of his past, not a replication of it. In fact, with songs like "Now My Heart Is Full" and "Hold on to Your Friends," Morrissey sounds more comfortable and peaceful than he ever has. And "The More You Ignore Me, the Closer I Get," "Speedway," and "Spring-Heeled Jim" prove that he hasn't lost his vicious wit. Following the breakup of the Smiths, Morrissey needed to prove that he was a viable artist without Johnny Marr, and Viva Hate fulfilled that goal with grace. Working with producer Stephen Street and guitarist Vini Reilly (of the Durutti Column), Morrissey doesn't drastically depart from the sound of Strangeways, Here We Come, offering a selection of 12 jangling guitar pop sounds. One major concession is the presence of synthesizers – which is ironic, considering the Smiths' adamant opposition to keyboards – but neither the sound, nor Morrissey's wit, is diluted. 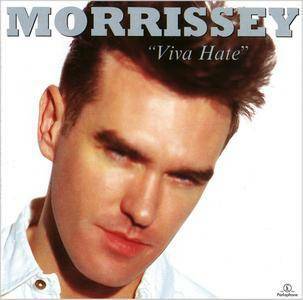 And while the music is occasionally pedestrian, Morrissey compensates with a superb batch of lyrics, ranging from his conventional despair ("Little Man, What Now?," "I Don't Mind If You Forget Me") to the savage political tirade of "Margaret on a Guillotine." Nevertheless, the two masterstrokes on the album – the gorgeous "Everyday Is Like Sunday" and the infectious "Suedehead" – were previously singles, and both are on the compilation Bona Drag. 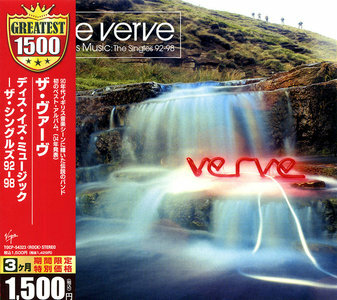 This is Music: The Singles 92–98 is a singles compilation album by the English alternative rock band The Verve. The compilation was released in November 2004 and included two previously unreleased tracks: "This Could Be My Moment" and "Monte Carlo". The album was named after a track by the same name off their 1995 album A Northern Soul. The album cover is based on the cover of their 1992 single, "She's a Superstar". 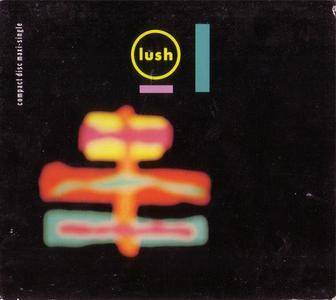 Nothing Natural is the 1991 single by British alternative band Lush. This US CD5 features the title track, a non-LP track and an edit of the hit. This was released in the UK as an EP under the name Black Spring. "Noting Natural" and "Monochrome" would find its way on their 1992 album Spooky. This was released by 4AD/Reprise. The most traditional pop band of all the Welsh bands to emerge in the post-Brit-pop days of the mid-'90s, Catatonia reworked the sound of jangling late-'80s alternative rock with a punchy, amateurish indie rock attack. 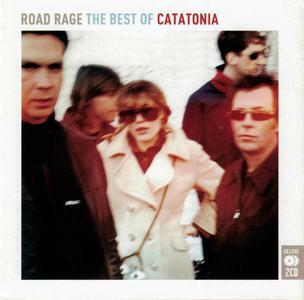 Comprised of vocalist Cerys Matthews, guitarist/vocalist Mark Roberts, guitarist Owen, bassist Paul Jones, and drummer Aled Richards, Catatonia formed in Cardiff, Wales in the early '90s. Matthews and Roberts used to busk together in Cardiff before officially forming the band. 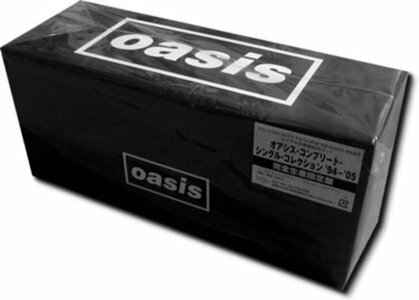 2006 Japanese Limited Edition issue containing 25 CD singles with every single release from April 1994's 'Supersonic' through to December 2005's 'Let There Be Love' totalling a mighty 89 classic tracks. Signing to the Pye label, the group's debut single "Something Here in My Heart (Keeps Telling Me No)" reached the number 11 spot on the UK pop charts in 1968, resulting in the release of the LP Paper Dolls House. Although the trio's ultra-mod image made them ideal for merchandising – toys, books and the like were all produced – their chart appeal proved surprisingly slim, and after the singles "My Life (Is in Your Hands)" and "Someday" stiffed, Pye dropped the group. Rare 1993 UK 68-track 4-CD collection including The Specials, Madness, The Selecter, The Beat, The Bodysnatchers, Rico, Elvis Costello and many more. This 4 CD box set collects the A-side and B-side of every single released on the label. Both sides of the Dutch Concrete Jungle single plus both tracks from the free single which accompanied initial copies of More Specials are also included. The Bodysnatchers live version of 007 is the only unreleased track in the set, however it did previously appear in the film Dance Craze but failed to make it on to the films soundtrack album. Jerry Dammers was less than impressed with its release and had this to say about it: "It's real train spotters stuff with every B-side from every free single and I wasn't even consulted about it. 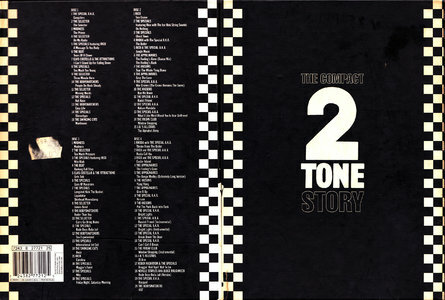 In some ways that (The Compact 2 Tone Story) is the worst." (Uncut Magazine interview 1998). 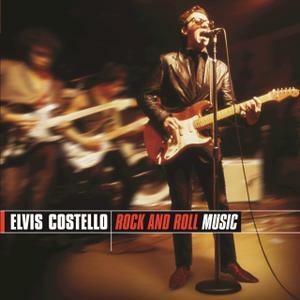 When Elvis Costello's back catalog from 1977-1986 shifted from Rhino to Hip-O in 2007, the third major EC reissue campaign was inaugurated by the just-the-basics hits set The Best of Elvis Costello: The First 10 Years and its companion, Rock and Roll Music, the first of a projected series of thematic trawls through Costello's back pages. Since it arrives hand in hand with a compilation that deliberately serves up nothing but the usual suspects, Rock and Roll Music is a welcome fresh take on Costello's catalog. 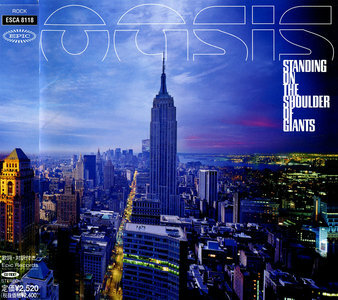 Standing on the Shoulder of Giants is the fourth studio album by the English rock band Oasis, released on 28 February 2000. The album is the 16th fastest selling album in UK chart history, selling over 310,000 copies in its first week. The album is an effective modern psychedelic record complete with drum loops, samples, electric sitar, mellotron, synthesizers and backward guitars, resulting in an album more experimental with electronica and heavy psychedelic rock influences. Songs such as "Go Let It Out", the Indian-influenced "Who Feels Love? ", and the progressive "Gas Panic!" were a departure from the band's earlier style. 2000 2-CD set featuring 39 classic timeless hits from the millennium including Queen, The Rolling Stones, Peter Gabriel, John Lennon, Paul McCartney & Wings, David Bowie, The Who, Elton John, The Beach Boys, Simon And Garfunkel, Derek & The Dominoes, Prince, U2, Bon Jovi, Blondie, Oasis, Lenny Kravitz, Simple Minds, Supertramp, Dire Straits, Tina Turner, Bob Marley, UB40, Kate Bush, Phil Collins, Roxy Music, Rod Stewart, Bee Gees, Michael Jackson, Abba, Janet Jackson, Diana Ross, Marvin Gaye, Barry White, Pet Shop Boys, George Michael, Massive Attack, Texas. 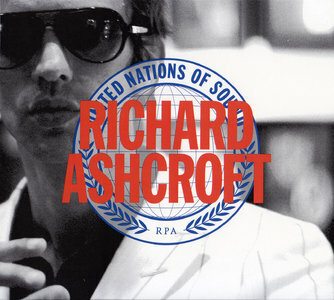 United Nations of Sound is the debut album by British alternative rock band RPA & The United Nations of Sound (pseudonym of Richard Ashcroft, arrived at his fourth solo album), released on 19 July 2010 through Parlophone. The album was released in the United States on 22 March 2011 under the name "Richard Ashcroft" through the record company Razor & Tie. This compilation of 39 tracks, rather arrogantly titled The Album, offers a good mix of current guitar-based pop, rock and indie with the bonus of Fatboy Slim's housey "Star 69" and Roni Size's "Dirty Beats" tacked on the end. This is the sort of album you could expect to hear down the student union bar with a range of songs to cover all bases for even the most fussy of compilation critics. 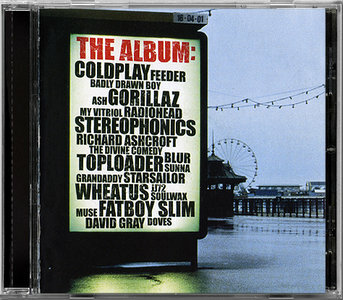 CD2 holds the indie-rock lighter in the air with Coldplay's "Trouble" and David Gray's "Late Night Radio" sandwiched between tracks by likely lads Supergrass ("Movin'") and Blur ("Coffee & TV"). Less obvious inclusions are alt.country masters Grandaddy ("The Crystal Lake") and gentle folkies the Kings of Convenience ("Toxic Girl"). CD1 is the less easy-listening of the two with some rock guitar riffing from the Manics ("You Stole The Sun…"), JJ72 ("Oxygen") and perfectly hip Placebo's "Taste In Men". If you're not into dance and the latest compilation from clubland isn't your cup of tea, then this could well be The Album before a good night out. Some albums exist outside of time or place, gently floating on their own style and sensibility. 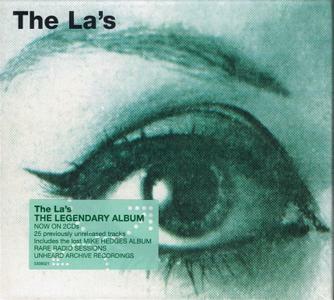 Of those, the La’s lone album may be the most beguiling, a record that consciously calls upon the hooks and harmonies of 1964 without seeming fussily retro, a trick that anticipated the cheerful classicism of the Brit-pop ’90s. But where their sons Oasis and Blur were all too eager to carry the torch of the past, Lee Mavers and the La’s exist outside of time, suggesting the ’60s in their simple, tuneful, acoustic-driven arrangements but seeming modern in their open, spacy approach, sometimes as ethereal as anything coming out of the 4AD stable but brought down to earth by their lean, no-nonsense attack, almost as sinewy as any unaffected British Invasion band. 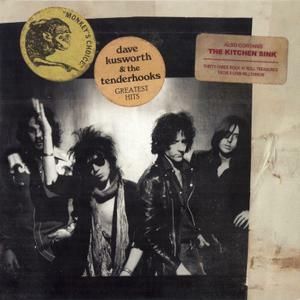 Inspired by the raw power of the Stooges and the glam rock excess of the New York Dolls, Birmingham, England, native Dave Kusworth formed his first band (TV Eye) at the age of 16. Since then, the versatile singer/songwriter/guitarist has done time in the Hawks, Dogs D'Amour, the Jacobites (with ex-Swell Maps mastermind Nikki Sudden), the Bounty Hunters, and the Tenderhooks, as well as his own Dave Kusworth Group. His songs, gutter-bound tales of rock & roll heartache that bring to mind the Faces and the Rolling Stones, have been covered by Evan Dando and Mercury Rev and feted by the likes of Tom Waits, Chuck Prophet, and Peter Buck.